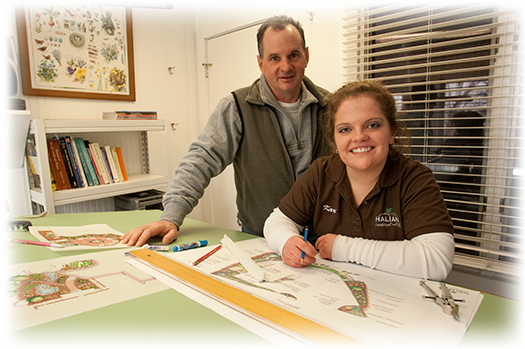 Our staff includes design professionals who handle every aspect of residential and commercial exterior landscape design. Services include site visits, thorough property analysis, and landscape illustrations ranging from a simple sketch to full color renderings. Halian & Associates will suggest proper plantings and functional designs suited for both the site and varied environmental conditions. The design "packet" includes scaled drawings, plant suggestions and their growth characteristics accompanied with an itemized proposal noting a lifetime warranty on installations completed by our skilled staff.